Get in the spirit of the Halloween season with Virtue! In addition to our regular Tap Room hours and production tours, we have ghastly grouping of additional activities in anticipation of All Hallow’s Eve. Sign up for Spooky Trails Walks Thursday, Oct. 25 through Sunday, Oct. 28. 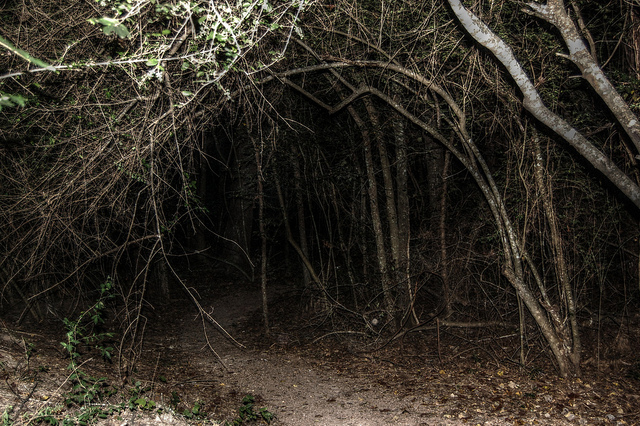 Be brave and discover the haunted trails at Virtue Cider with our tour guide just after dusk. What secrets do these woods keep? Find out, if you dare! All ages. Costumes welcome. Concessions for sale in our Bottle Shop. No pets on the spooky trail walks, please! The walk will last approximately 30-45 minutes and guests will be on foot the entire time. On Friday, Oct. 26, we’ll be screening a cult classic movie on our lawn as a “double feature” alongside cider from our Tap Room from 8 - 10 p.m. [Movie Hint: The Tale of some Kids Who Foolishly Steal the ‘BOOOOOOOOOOK!” belonging to Three Witches.]. We’ll have popcorn, mulled cider, blankets, and everything you need to be cozy. Dress in your Halloween best for our annual costume contest on Saturday, Oct. 27 ahead of the Douglas Halloween Parade! This 21+ contest will award prizes in four categories: Cutest couple, Scariest, Farmiest, and Best pet costume. To enter: Pose for our Polaroid, add your contact info on the photo and pin it to our Bottle Shop cork board. Our esteemed judging panel will assess the entries and contact our winners accordingly! Free event! Finally, if you can’t make it to Fennville, you can still concoct some spooky cider cocktails such as the Spirit of Spritz, Virtuous Sin, Witches Wassail, Percheron Punch, or the Corpse Reviver #13. Find all the recipe details here.